First and foremost, make sure they are wearing suitable clothing. Waterproof jacket and pants are essential. Kids like to sit in the snow and get amongst it! Without waterproof gear they are just going to get cold and upset. Also make sure they have some thermal underwear on underneath their ski clothes. Thermals offer warmth without the bulk, which can feel very restrictive for a child. Gloves are another key item and must be waterproof. A hat, eye protection, a neck gator and sunscreen will finish off their ensemble and they are good to go! To ensure their first few times on snow are good ones, lessons are highly recommended. Kids seem to pay more attention to an instructor, as opposed to their parents!? (My theory is it's hard to say "NO!" to a stranger!) Lessons give them a great opportunity to find their feet with a professional, without the frustration they might experience learning on their own, or from a parent. Having a great first experience is key for the success of future family ski trips! 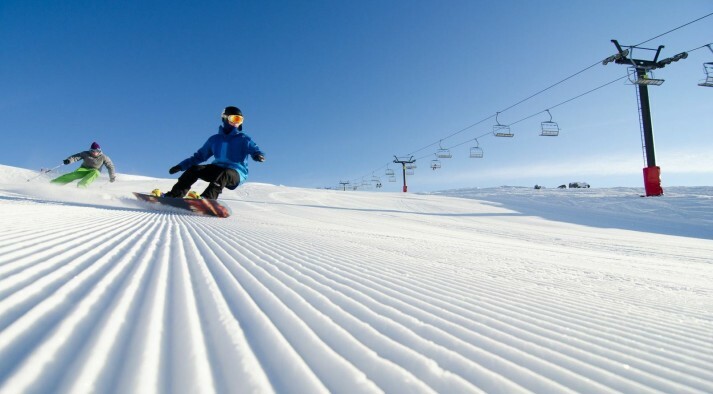 When it comes time to choosing whether the little ones want to ski or snowboard, generally speaking, kids under 7 years are generally better on skis. This is because they have not quite developed their fine motor skills to be able to manoeuvre a snowboard. The recommended age for kids to try snowboarding is 7 years, or above, in most ski schools. I however, I personally believe that 9 or 10 years and above, is a good age for snowboarding success. Both skiing and snowboarding require a few days of lessons for kids to become competent and safe on the snow. When they are ready to show you their skills, make sure you talk with their instructor before taking them to any new lifts. You don’t want to take them beyond their skill level, or there will likely be tears! There is a lot of information about kids on snow and I can’t offer it all in a single blog post. If you have anymore questions, check out FAQ page or send us email. I would be more than happy to assist. The one piece snow outfit is great for 5 years and under – it keeps the snow out, as those little rascals seem to just want to play and lay in the snow despite its coldness! If your child is wearing a snow jacket and pants combo, make sure you tuck in the bottom layers to keep them toasty warm. One pair of socks is all that is needed and pull them up tight - layering socks will just make them colder and more uncomfortable. Make sure your child’s boots fit correctly – get advice from an instructor or retail assistant. Tuck their gloves under their jacket sleeves. Keep your kids well fed and hydrated - they will be using much more energy than usual, so keep some snacks and juice boxes in your pockets for them during the day. And some extras for the ride home. A snowman is a great way to finish the day, or to have them take a break off their skis or board. 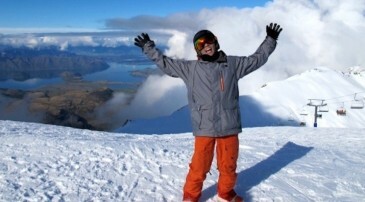 Note: If planning to travel with us – NZ Snow Tours, the Wanaka Adventure is the best trip for families. The ski areas are close to town, meaning less time in the car – we know how kids don’t like to sit in cars for too long! 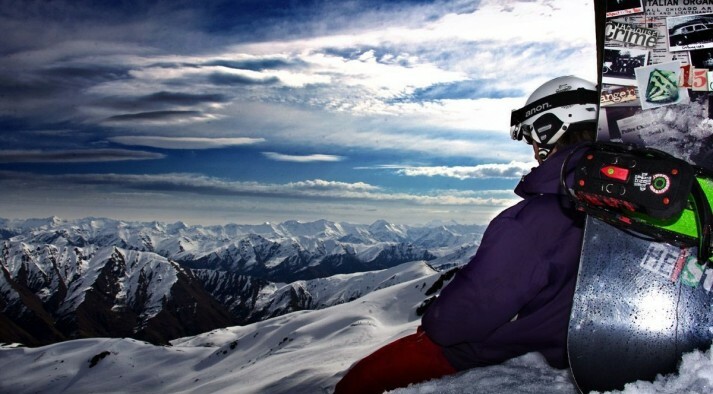 The two closest ski resorts also offer great kids lessons and have childcare facilities. It’s also super easy to travel with us, as we are there to assist you through all the above. And we also organise everything for you! Too easy!